Looking to send the gift of flowers with a little something special extra? For this week only we'll be offering you free chocolates and a free vase with every order of either or True Romance 12 Red Rose Bouquet or our Rose & Freesia Bouquet. Our True Romance Bouquet is a wonder to behold. Consisting of a dozen of the freshest premium grade red roses, this arrangement is perfect for romantic occasions such as dates, anniversaries or the birthday of your other half. The Rose & Freesia Bouquet is a warm and lively arrangement of fresh orange roses and delicately fragranced freesia flowers. 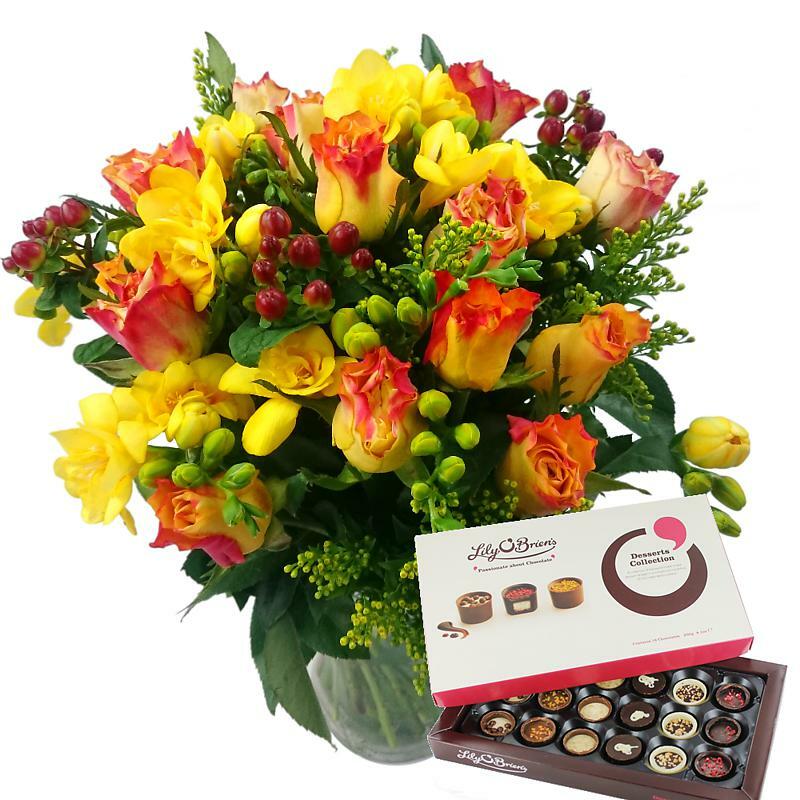 Whether you need to tell someone 'thank you,' 'sorry,' 'congratulations,' or 'good luck,' this marvellous bouquet will make for the perfect gesture. 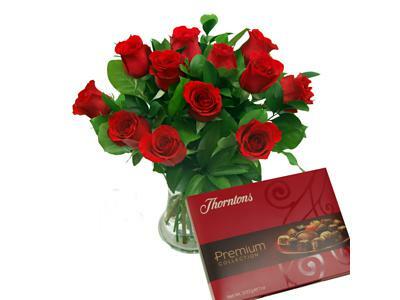 Each of these bouquets comes inclusive of a free elegant glass vase and a 200g box of luxury Thorntons chocolates, for when you need to complelety spoil that special someone. Not only will they have a stylish container for their new bouquet, they'll also have some utterly delectable choccies to nibble on whilst admiring their fresh flowers! Both bouquets are available now for just £39.99 with free next day delivery included as well! Which do you prefer?